Vegetarian foods are awesome. But when many think of vegetarian meals, they think of bland salads that don’t fill you up. However, it definitely doesn’t need to be like that. Legumes and dairy in particular are great foods to use for extra protein. Throw some spices in the mix and you’ve got a super tasty vegetarian meal that will fill you up all evening. 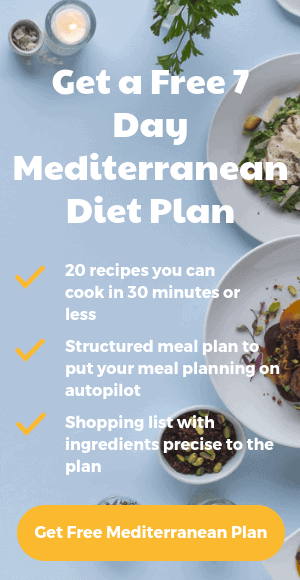 Plant-based diets like the Mediterranean diet recommend a few meat-free days a week. I find vegetarian evening meals are a lot harder to think of and prepare compared to breakfasts and lunches. That’s why recipes like this spiced beetroot and chickpea salad are great to incorporate into your routine. If you’re looking for a healthy meal packed with nutrients, you’re in for a treat. The 3 main ingredients in this recipe—beetroots, chickpeas and greek yogurt—all have great nutritional profiles. Beetroots are high in fiber and various nutrients, including vitamin B9, manganese, potassium, iron and vitamin C. Studies have also shown eating beetroots by can lower blood pressure, why may help reduced heart disease (1, 2). Chickpeas are a great plant-based protein, containing significant amounts of all the essential amino acids and fiber. They are rich in calcium, magnesium, phosphorus and potassium, as well as important unsaturated fatty acids (3). Greek yogurt has twice the protein content as regular yogurt. They are also an excellent, meat-free way to add more B12 vitamin to your diet, which is a vitamin some vegetarians don’t get enough of as it’s mostly found in animal products. The dish has a rich flavour because of the spices, lemon and yogurt too. The mint combines really well with the other spices and I find chickpeas are a lot tastier when crunchy. You’ll find quite a few different spices used in this dish. Sumac gives you that hint of sourness, but you can try extra grated lemon zest mixed with salt or black pepper if you can’t find it. Za’atar is a Middle Eastern spice found in most supermarkets. The main flavors in the blend are those of oregano, sumac and sesame seeds. So if you are already using sumac and can’t find the za’atar you can just use the oregano and sesame seeds instead. Fresh mint is preferable to dried mint, but if you have dried mint on hand by all means use that. So without further ado, let’s get started on the instructions! Heat oven to 220C/200C fan/gas 7. Halve the beetroots. Or quarter them if you’re using medium ones or bigger. Mix all the spices together. On a very large baking tray or 2 smaller ones, mix the chickpeas and beetroot with the oil. Season well and sprinkle the spices over. Mix again. Roast for 30 minutes or until crisp at the edges.